The fairest one of all firmly secures her top spot in this haute couture gown - an elevated take on her classic look. A sculpted ruffle hem, embellished brocade patterning, and faux gem details make an elegant impression. The figurine is made from resin. Each piece is hand painted and slight colour variations are to be expected which makes each piece unique. Supplied in branded gift box. Not a toy or children's product. Intended for adults only. 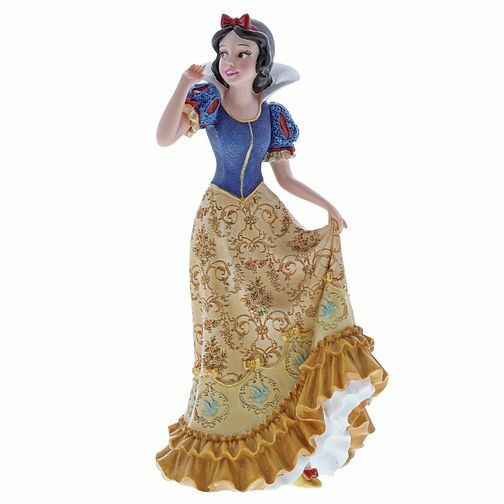 Disney Showcase Snow White Figurine is rated 5.0 out of 5 by 1.